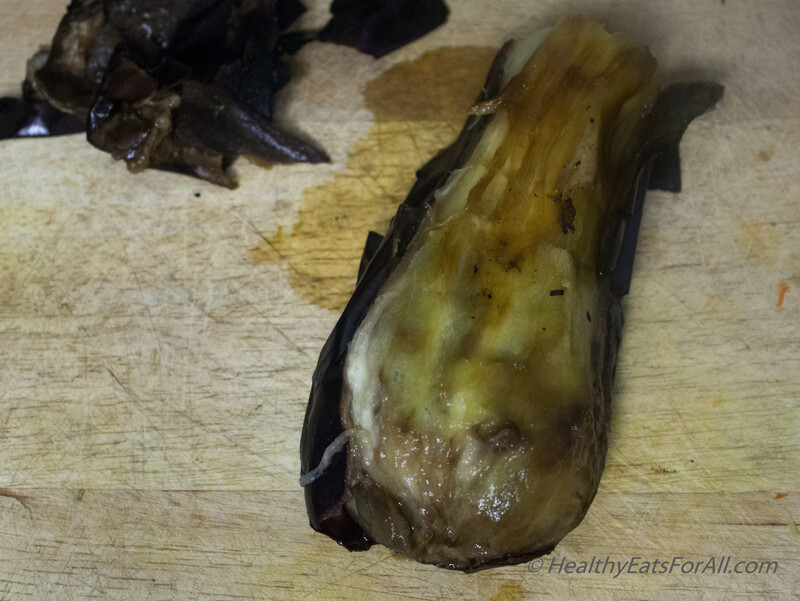 Some call it an Aubergine; some call it Eggplant, or Brinjal and some Baingan! So many names for the beautiful, jewel toned Royal purple veggie! !It comes mainly in the purple color but there are white and green varieties also. It comes in various sizes. For this recipe we use the medium or small purple ones. It is a fantastic vegetable which can be used in a number of dishes. 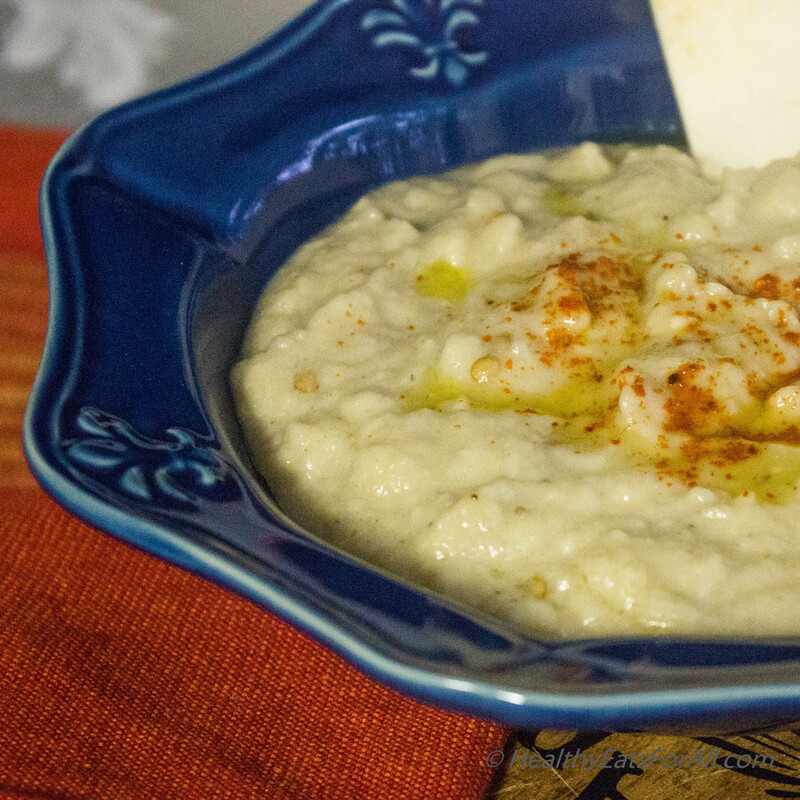 One of the ways we use it in our home is to make Baba Ghanoush. 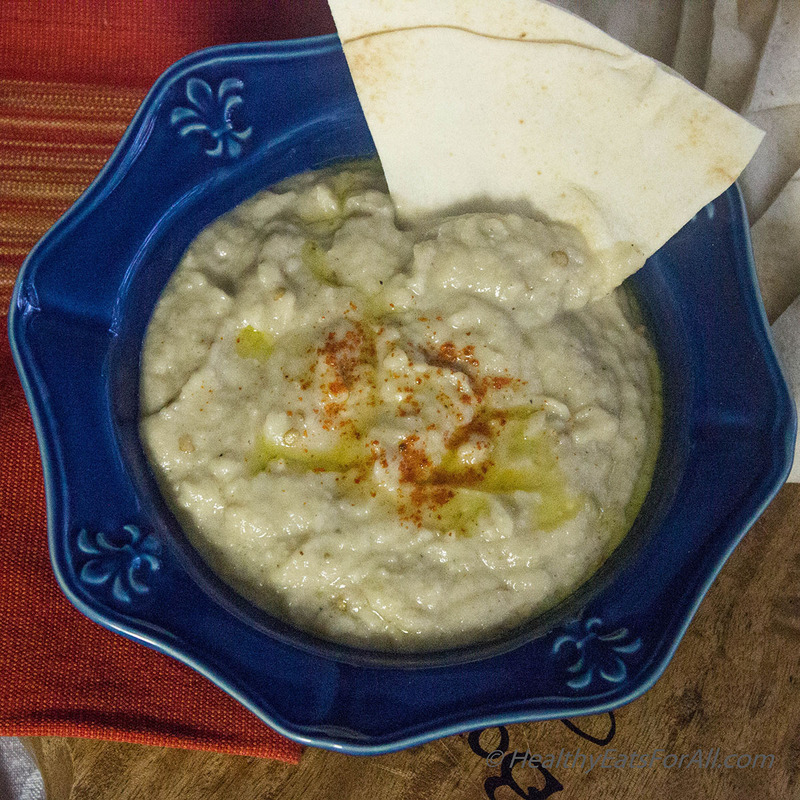 The smoky flavor of this Mediterranean dip is just so addicting for me! The smooth creaminess with the slight bit of tartness adds so much depth to it. Whenever I make it, the dip is finished in a matter of minutes. 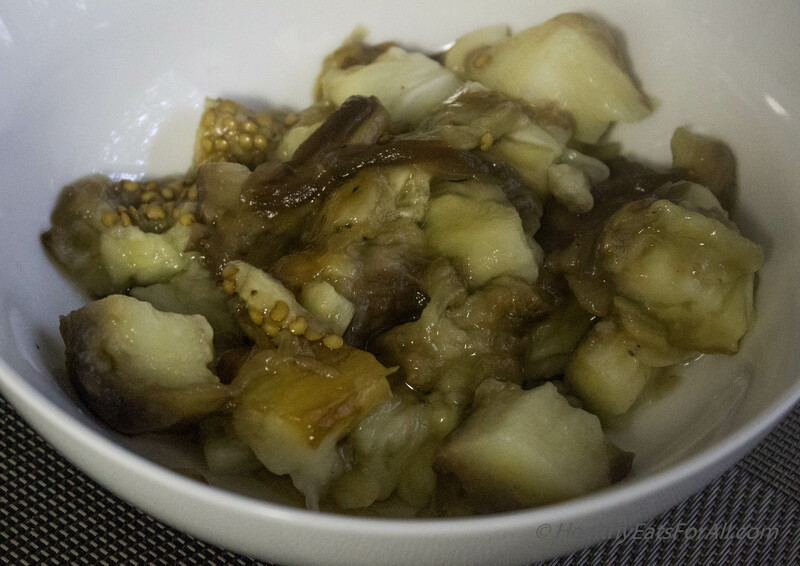 Initially when I tried experimenting with its recipe, I would bake the eggplant in the oven to make it. But I realized that it lacked depth, the flavor, the special smokiness that comes from roasting an eggplant over open flames. Unfortunately since I have a ceramic cook top that wasn’t possible 😦 So during summers I would grill outside and that would be fine. But what if that is not possible? So, I experimented a bit and found this wire rack with a handle (similar to one we use for cooling a cake)that one can keep on a ceramic cook top. That worked really well! So now I can roast the eggplant for 10-15 minutes on it so its skin gets totally charred and imparts the brilliant smoky flavor! Then I bake in the oven to make sure its insides are also well cooked and really soft. To give its traditional creaminess I add a little bit of plain Greek yogurt (you can add regular plain yogurt also) and Tahini sauce. Feel free to adjust the yogurt, lemon juice and yogurt to give the dip your desired consistency and flavor. In case you are vegan, feel free to skip the yogurt and increase the lemon juice a tad bit to balance the flavor. It tastes great with pita bread and even with veggies. It stays well in the fridge for 3-4 days also. 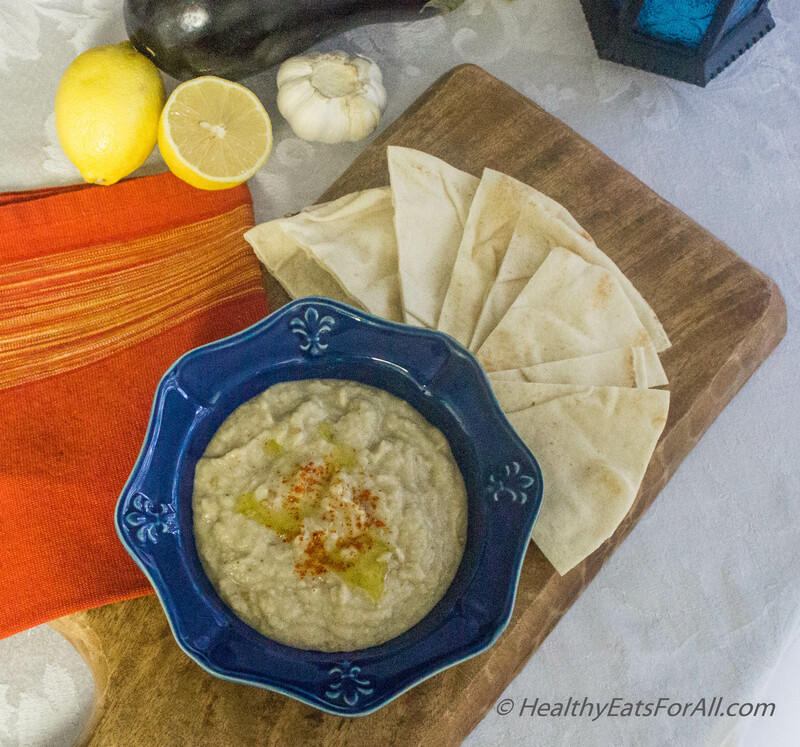 This makes Baba Ghanoush, an excellent choice as a party appetizer; or for picnics etc. It is a fantastic way to incorporate more veggies in your diet! 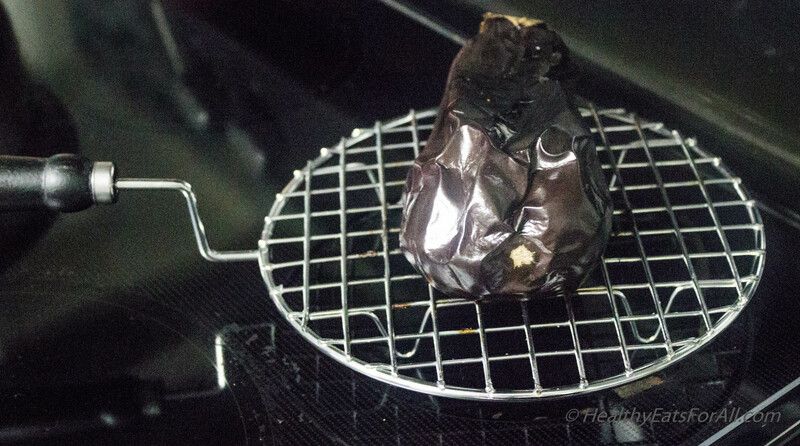 Roast the eggplant for about 10-15 minutes on gas/grill till outside skin is charred. Then bake in oven at 450oF for 20-30 minutes till inside is really soft (check by piercing with knife). Keep aside for 10 min till it’s cooled. Chop the eggplant into pieces. Remove any hard brown seeds. 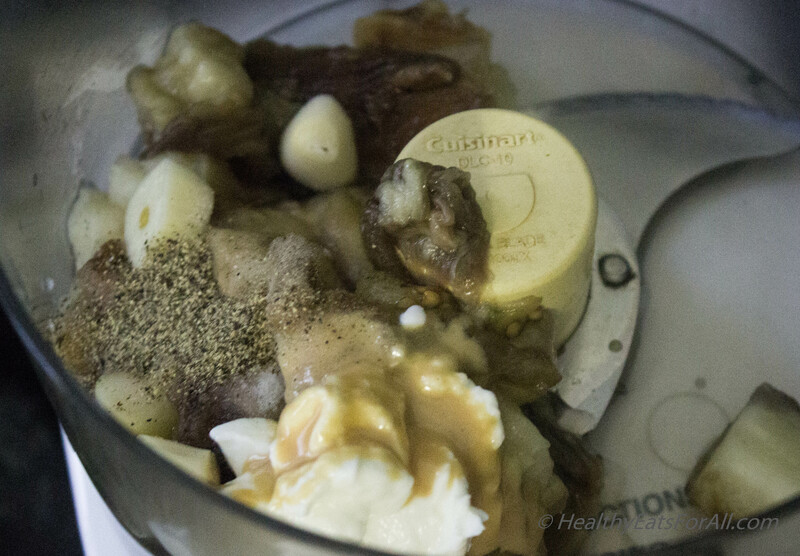 Add the eggplant, garlic, yogurt, Tahini, lemon juice and seasonings to a food processor. Process till nicely blended without any large chunks. Enjoy with pita bread or veggies!